In 2002 CODART organized a study trip to Scotland and visited various destinations including Edinburgh. Now, sixteen years later, the Rembrandt exhibition at the Scottish National Gallery provides an ideal opportunity to visit the city again. The purpose of our journey is to focus on the Rembrandt exhibition and the collections of Dutch and Flemish art of the National Galleries of Scotland. For those who have some extra time to spare, we have added a few useful links at the bottom of this page. Located centrally between Edinburgh’s Old Town and New Town, the Scottish National Gallery holds a vast collection of masterpieces of diverse origins: work by Italian, French, Dutch, Flemish and of course Scottish artists, among others. The Scottish National Gallery consists of two adjacent buildings, both designed by William Henry Playfair: the Royal Scottish Academy Building and the National Gallery Building. Since 2004 these have been connected by the underground Garden Level. (Source: museum website). 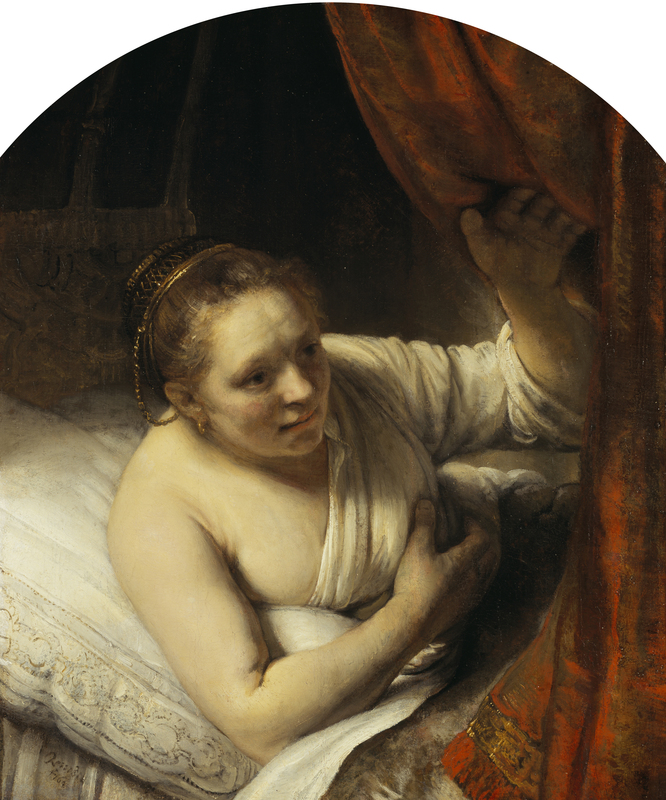 The CODARTfocus in Edinburgh provides a perfect opportunity to become better acquainted with the exceptional collection of Dutch and Flemish works at the Scottish National Gallery. The collection contains outstanding paintings such as The Trinity Altarpiece by Hugo van der Goes, the earliest dated painting by Gerrit Dou, An Interior with a Young Violinist, as well as works by Quentin Matsys, Peter Paul Rubens, Anthony Van Dyck, Frans Hals, Johannes Vermeer (NB: Christ in the House of Martha and Mary will be on loan to an exhibition in Tokyo, Japan in October) and Pieter Saenredam. On Sunday afternoon we will begin the focus with an introduction to the permanent collection and a number of interesting case studies, with scope for discussion. There will also be sufficient time during the day for participants to visit the museum individually. The Portrait Gallery in Edinburgh, like the Scottish National Gallery, is part of the National Galleries of Scotland. The Gallery contains the portrait collection that originated in the eighteenth century, starting with the collection built up by David Erskine, 11th Earl of Buchan. Since then, portraits of well-known Scots – not necessarily painted by Scottish artists – have been added. In the nineteenth century, a financial donation by the philanthropist and local newspaper owner John Ritchie Findlay made it possible to move the collection to a dedicated museum building, the present-day Portrait Gallery, which opened to the public in 1889. In the Portrait Gallery we will consider the permanent collection in more depth and look at works from the Print Room of the National Galleries of Scotland. We will also be visiting the exhibition Art and Analysis: Two Netherlandish Painters Working in Jacobean Scotland. This exhibition focusses on the two Netherlandish seventeenth-century artists Adrian Vanson and Adam de Colone, who lived and worked in Scotland. Vanson and De Colone, whose families were related by marriage, became successful artists and painted wealthy members of Scottish society, including the king and members of his court. The exhibition presents the findings of a collaborative research project between the Portrait Gallery and technical art historian and paintings conservator Dr Caroline Rae, the Courtauld Institute of Art Caroline Villers Research Fellow during the project and now a Lecturer in Technical Art History at the University of Glasgow. On display are a group of paintings from the National Galleries of Scotland collection which have been examined by Caroline Rae using cutting-edge technology. Are you planning to stay longer in Edinburgh? There is of course an enormous amount to see and to do, both in and around the city. For instance, two museums with collections of Dutch and Flemish art that are worth visiting in the city itself are the Torrie Collection at Talbot Rice Gallery (University of Edinburgh) and the Palace of Holyroodhouse. For more general information about the city you could visit the website edinburgh.org. The Hunterian Museum and Art Gallery at the University of Glasgow is also worth a visit. Please find more information on the gallery’s website. For more information about (other) museums in Glasgow you could visit this website.